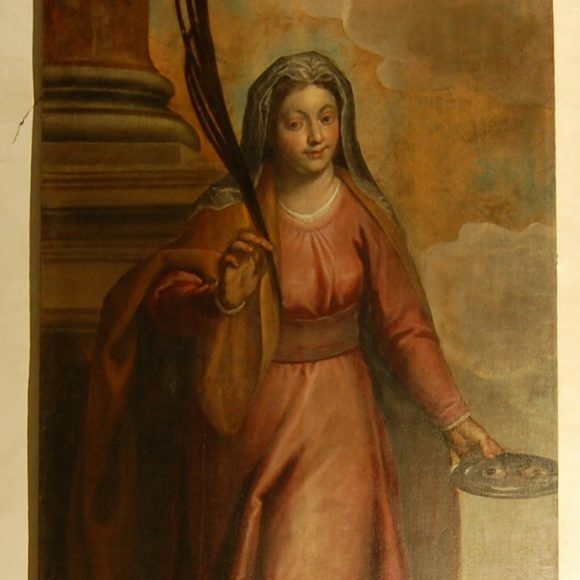 The story of devotion by followers of Saint Lucy began very soon after her death. 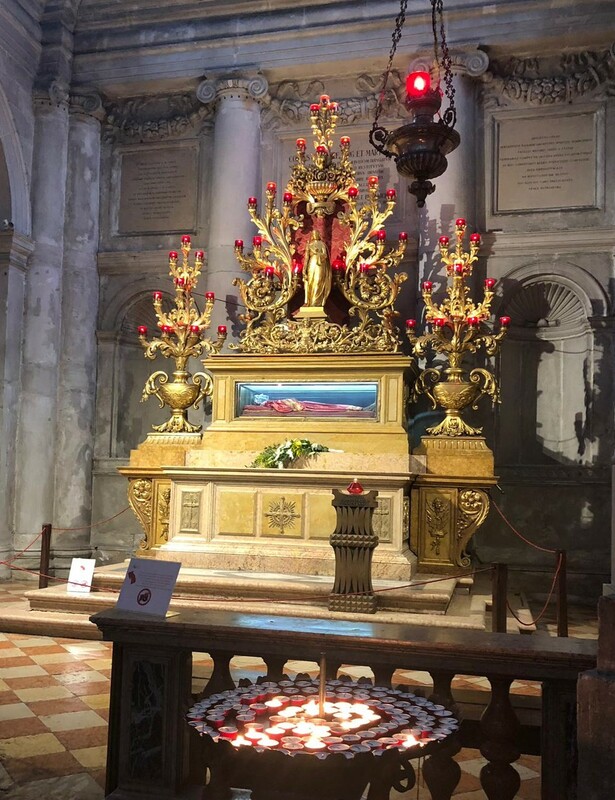 The earliest physical evidence we have of the cult of Lucia is a marble inscription dating from the fourth century, which was found in the catacombs in Syracuse where Lucy was buried. As early as 384 (only eighty years after her death) a church in Ravenna was built in her name. Shortly after this, Pope Honorius I named a church for her in Rome. 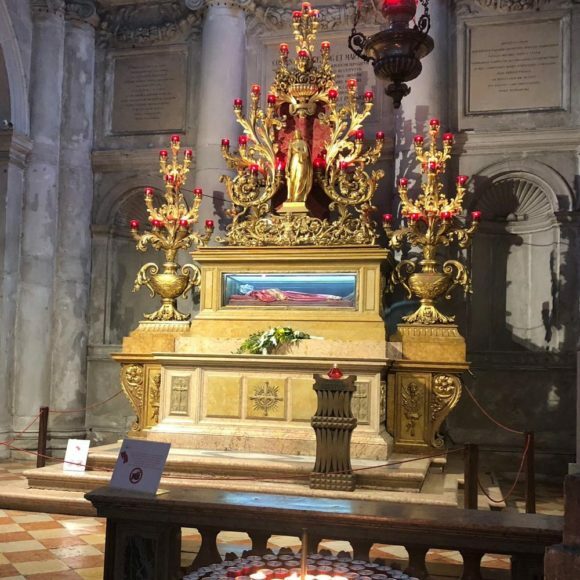 The devotion to the young woman spread very quickly: as early as 384 a church was named after her in Ravenna, and soon after another one in Rome by Pope Honorius I. 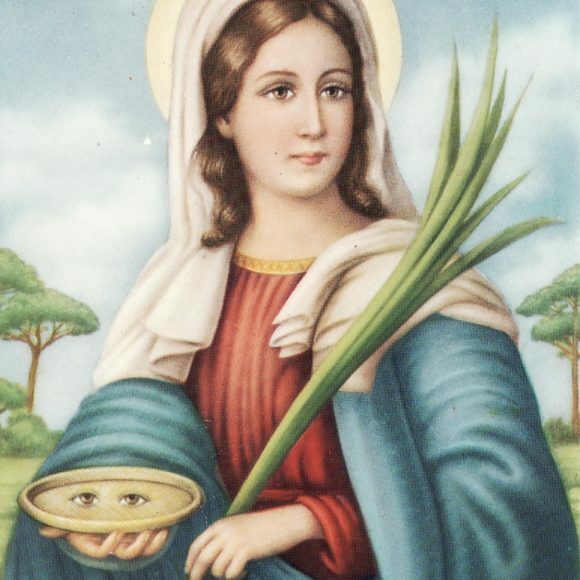 Soon her cult spread from Syracuse to other parts of Italy and to other parts of the world – across Europe to Latin America, to some places in North America and Africa. 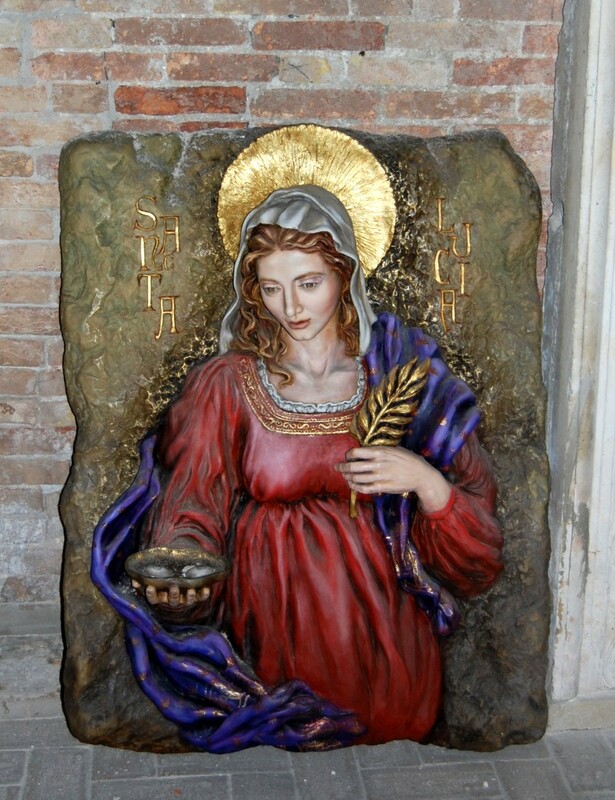 All over the world today there are relics of Saint Lucy and works of art inspired by her. 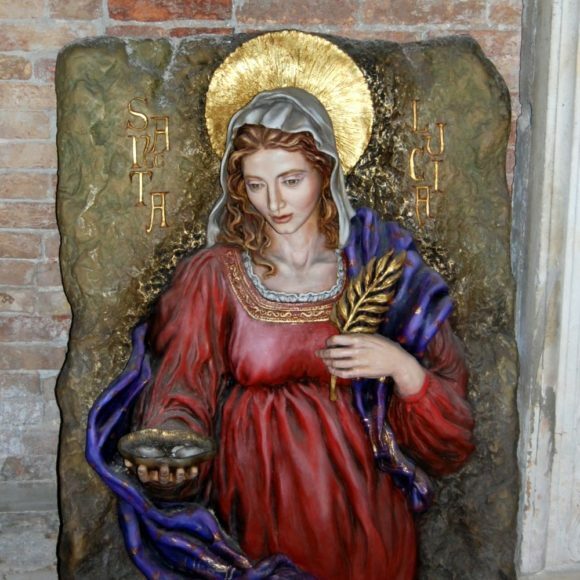 In Syracuse in Sicily, Lucy’s native town, the festival held in honour of her is naturally very heartfelt and the celebrations last for two weeks. A silver statue of Lucy, preserved in the cathedral all year long, is taken out and paraded to the main piazza where there is always a large crowd waiting expectantly for her. The night of Saint Lucia is celebrated in other cities in the North of Italy too, especially by children. According to tradition, Lucy arrives riding on a donkey, followed by the coachman Castaldo, and bringing sweets and gifts for the children who have behaved well throughout the year. In turn the children prepare cups of coffee with some biscuits for her. 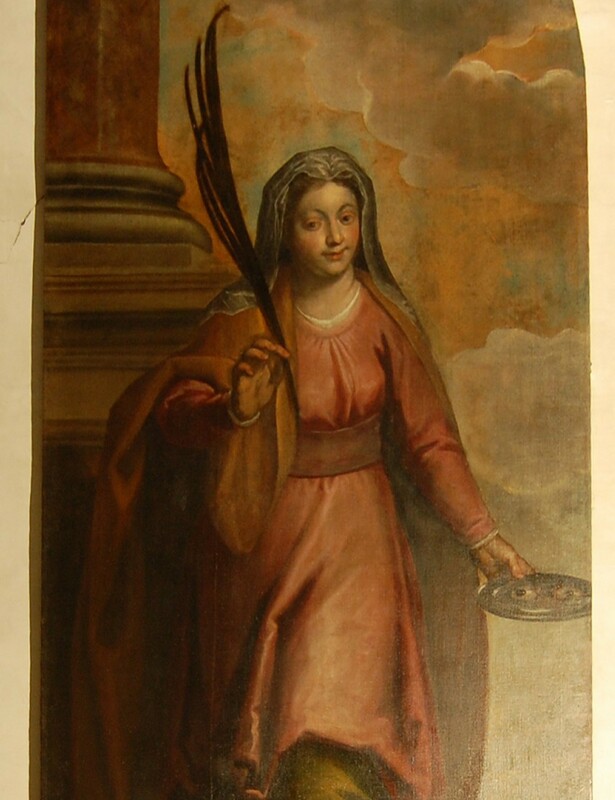 Saint Lucy’s day is also celebrated in Scandinavia, where she is considered a symbol of light. It is said that to celebrate Saint Lucy’s Day vividly will help live the long winter nights of Scandinavia with enough light. In Sweden it is especially celebrated, marking the arrival of the festive season. Here, young girls dress up as “Lucy”. They wear a white dress (a symbol of her purity) with a red band (representing the blood of her martyrdom). The girls also wear a crown of candles on their head and carry biscuits and ‘Lucia buns’ (rolls filled with saffron – especially made for the occasion). Both Protestants and Catholics participate in these ceremonies. Similar candlelit processions and celebrations are held in Norway and parts of Finland. 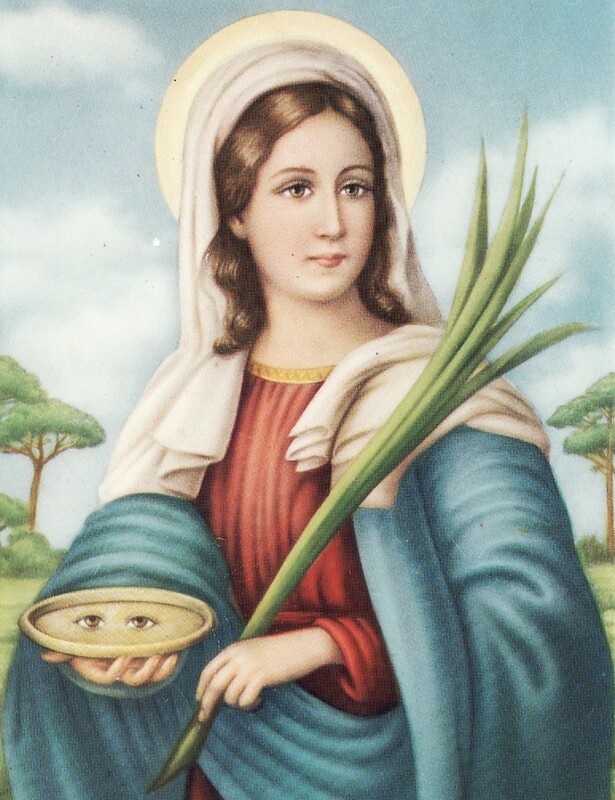 On the Eastern Caribbean island of Saint Lucia, which is named after her (the only country in the world named after a historical woman) Saint Lucy’s day is celebrated as a national holiday. Celebrations for Lucy are also held in parts of the United States and Canada, in Venezuela and Ecuador, in Hungary and Croatia as well as in Estonia.